The potters and clay artisans of Kumartuli - the neighborhood in North Kolkata where the community of traditional potters and artisans live and work, have been toiling for the past several weeks to build and decorate the Durga idols (or "protima" which means image or likeness of a deity in Sanskrit) in time for Durga Puja which is just a few weeks away beginning on Sept 26th this year. This annual 5-day festival, a celebration of the 10-armed mother goddess Durga, and her victory over the shape-shifting buffalo demon - Mahisasura, symbolizes the triumph of good over evil. It's the most popular religious and social festival in Bengal and parts of eastern India, especially Kolkata. Life size and larger idols of Durga made of clay are worshiped in elaborately decorated stages called pandals in a public space in every locality and neighborhood of the city. This was my first ever visit to Kumartuli. The best time to visit is in the weeks just before Durga Puja when the hum of activity here is at its peak. 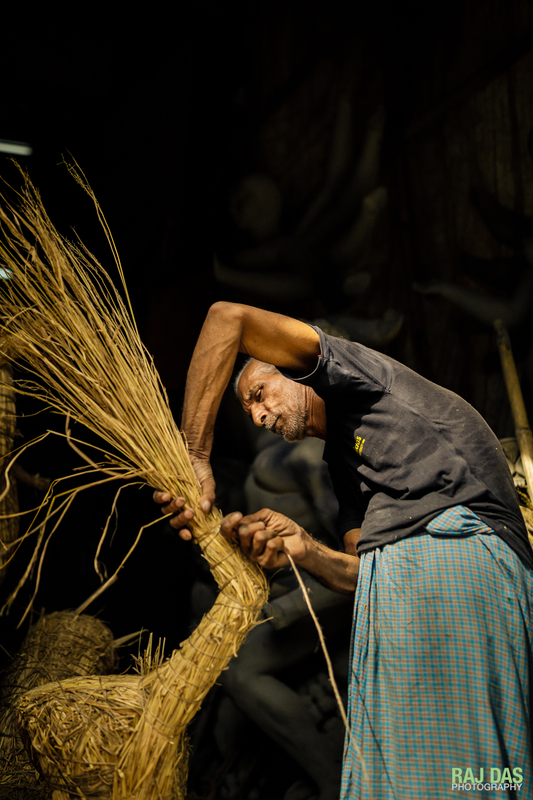 The artisans here are renowned for their traditional craft and art in idol making and have been supplying the idols for Durga Puja not just across Kolkata and Bengal, but also exporting idols used in Pujas in Bengali communities all across the world. 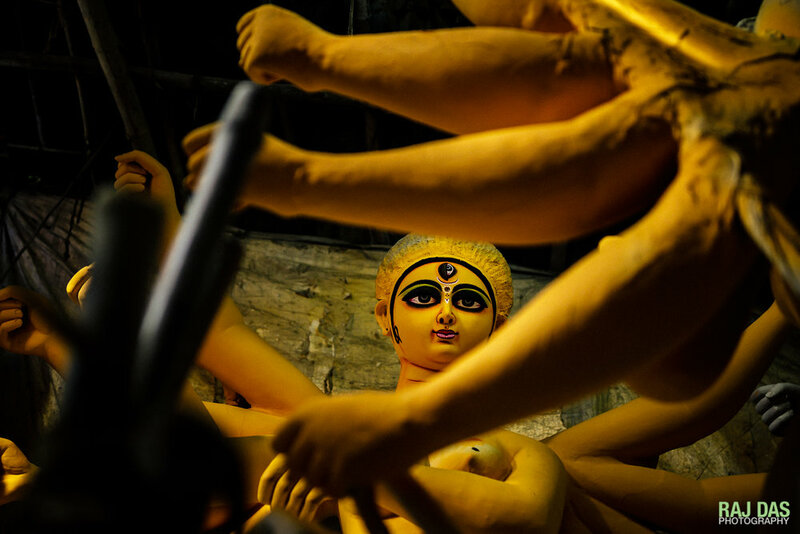 Strapped for time, I was only able to go to Kumartuli once on this trip. One visit is just not enough to get a sense of the tradition, artistry and rhythm of this place. I hope to make it back there again during this time of the year on another visit to Kolkata.